January 15th, 2012. How many things have happened since January 15th, 2012? For those out there wondering, January 15th, 2012 was the debut date of “The Reichenbach Fall“, the season two finale of the popular BBC show, Sherlock. Boy, was that a finale: Moriarty dead (or not, if you believe the theories) and Sherlock faking his death. There was one question, one question on everyone’s mind at the end of that episode: How? How did Sherlock survive the fall? Part of the BBC’s marketing campaign. They were having fun with this before the episode even aired. Fast-forward to January 1st, 2014 and the release of “The Empty Hearse“, the long awaited season three premiere (at least in the United Kingdom anyway) that finally continues the story of everyone’s favorite sociopath. Tonight I had the good fortune, through internet means I would never endorse (incidentally isn’t this an odd website), to watch “The Empty Hearse”. Spoilers? Nah, I won’t ruin the fun. 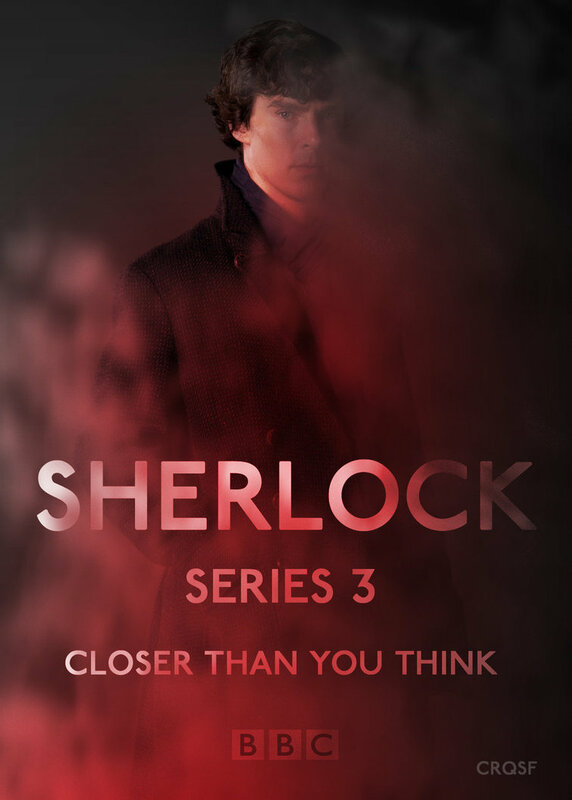 Rest assured, Sherlock is more than aware how long its kept everyone waiting. I’ll instead stick to the basics, starting with the first and foremost question: is it still good? I’ll go into it a bit more than that. “The Empty Hearse” serves as a joyous reintroduction to the series. Written by none other than Mark Gatiss (Mycroft Holmes to all you fans) who is aware of just how long ago 2012 was in terms of television attention span. To that end, this is not a very plot heavy episode. Indeed, those out there wanting to puzzle along to a gripping mystery will have to wait. 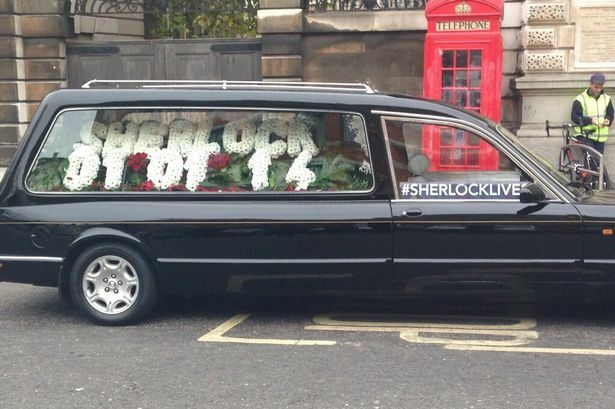 Sherlock was dead for two years: it takes time to get breathing again. Two years have passed in the series timeline as well so a good portion of the episode is spent playing catchup. Kind of like season 4 of Arrested Development except actually funny. What makes it work is, of course, the actors. Benedict Cumberbatch once again fully inhabits the titular protagonist who gave his career life. 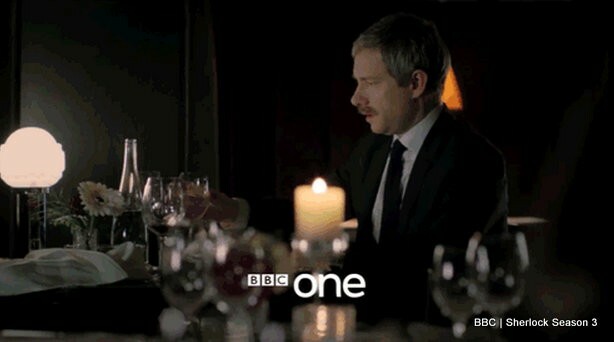 Martin Freeman manages to look both fully fed up and happy to be back as John Watson. Perhaps the most surprising performance comes from Louise Brealey, whose original character, Molly Hooper, has transformed from one time comic fodder to the sad manifestation of Sherlock’s detached humanity. There are no weak leaks in the acting chain that hold this series up and, while the story this time is more tongue-and-cheek than we’re used to, this is a show built for powerful drama and moving stories on the human condition. Amanda Abbington plays Mary Morstan, a new addition to the cast. I will say, in the interest of perspective and placement, that this is not my favorite episode of the series. Indeed, as far as season premiers go: it may be the worst the series has endured so far. That is not a knock on it, however, when comparison is drawn with “A Study in Pink” and “A Scandal in Belgravia” (my personal favorite episode of the series). The story is fun and the presentation is thoroughly fourth-wall. Are there any worries going forward? None but this: Sherlock is a series that has set itself a high standard. While nine episodes hardly breaks the bank on the source material, one does wonder if the series will ever again recapture this height of fan excitement. You can only kill Sherlock Holmes so many times before audiences stop caring how he survived the fall. Season two contained many of the series’ most famous characters. It will be interesting to see what season three comes up with. Yet for the moment it is a party and a most welcome one at that. The world’s most famous detective is back and audiences will no doubt have nearly as much fun with his return as he did. Sherlock returns to North America on January 14th… for anyone who is interested in waiting.